This is Kipling's biography of Napoleon Bonaparte. "Gay go up, gay go down" in the third stanza is a rhyme that was used at the time by children on seesaws. Can anyone explain the odd stress pattern on "Trafalgar" in the fifth stanza? "How far is St. Helena from a little child at play?" Oh, Mother, call your son again, or else he'll run away. I haven't time to answer now– the men are falling fast. You couldn't hear me if I told– so loud the cannons roar. 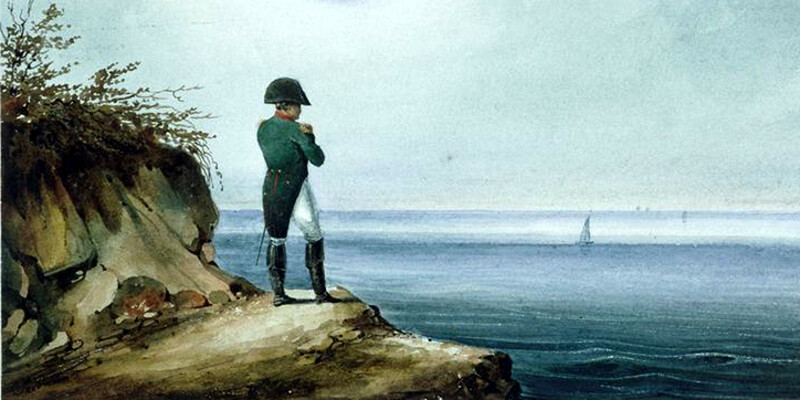 "How far is St. Helena from the Emperor of France?" I cannot see– I cannot tell– the crowns they dazzle so. A longish way– a longish way– with ten year more to run. An ill way– a chill way– the ice begins to crack. A near way– a clear way– the ship will take you soon. That no one knows– that no one knows– and no one ever will.